See how customers rely on Glip to improve team collaboration and deliver faster results. Operating many businesses across different industries and in different locations, a multiple franchise needed an online platform to stay in touch with all of his teams and keep everything running smoothly. Glip allowed for separate communication channels with each team, a single platform to manage task and information, and a solution to collaborate with suppliers around the world. See how Glip keeps teams organized. With 100 employees spread across two locations, a Massage Envy franchise found it difficult to efficiently communicate, coordinate, and share news with staff. The company started using Glip so every employee could share a unified online communication workspace. With Glip, they are communicating more effectively than ever and even boosting team chemistry and employee morale. See how they improved communication. Pandamoon’s global workforce was using different apps to collaborate, which made it difficult to build a sense of community. 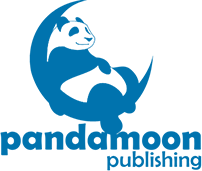 With Glip, Pandamoon found a single workspace for author training, team communication, file sharing, and a place for staff and authors to have fun and support each other. Now that the team is using Glip, anyone at Pandamoon can communicate and collaborate with anyone else, anytime. See how they built a community. LakeExpo.com’s editorial team had too many scattered communications to collaborate effectively, and they identified a need for a centralized place to work. After researching collaboration apps, they found Glip and gave it a try. Glip pulled together their communications, events, task management, and calendar—all in one unified platform. See how they boosted productivity. Logistics required to handle flyer production for hundreds of customers across multiple states was difficult to manage using so many different tools. The team needed a single place to track it all and prevent mistakes. Glip was introduced as a way of making communication easier, but they saw even bigger benefits with easy collaboration and project tracking in a single workspace. See how they perfected processes. Resonate Church has been on a nonstop growth trajectory for a decade. As the team and church-planting movement grew, the organization needed an easier way to communicate. Using Glip across the organization, the team found they could easily stay connected and productive. No matter how much the organization continues to grow, they now have a collaboration tool to help keep their mission on track. See how they doubled productivity. With projects involving dozens of congregations, Joe Ramsay needed an app that allowed for easy online collaboration anywhere. Having had success with Glip in the past, Joe set up Glip for his consulting practice, and he’s been an enthusiastic user ever since. Glip is helping Joe coordinate an initiative that involves more than 70 congregations, and he’s turned more than a dozen organizations and hundreds of individuals into avid Glip fans. See how Joe scales with Glip. See how Glip is used to collaborate. The staff at South Burlington School District used email, a chat app, and several collaboration tools to communicate, and they wanted this functionality in one place. The free Glip team messaging and collaboration app offered a solution to a lot of issues without any cost. The staff is much happier with Glip than with their previous chat app. And the money they’re saving matters a lot to the budget-conscious school district. See how Glip addresses their challenges. Streams Church locations are used for events, classrooms, and activities—leaving no office space. So this fast-growing mobile staff knew they needed an online collaboration app. After trying multiple apps, they chose Glip because it is easy to use, integrates with other tools, and best of all, it's free. Glip has given this mobile team a simple and reliable way to collaborate and communicate anywhere. See how they use Glip to get results. With client projects involving students all over the globe, ICON needed an online workspace to make collaboration effective and easy. After using another online communication tool that limited their storage capacity and searchable history, ICON researched alternatives and found Glip’s free and unlimited service. The team is thrilled to have a free online workspace that lets them get so much collaboration done in one place. See how they collaborate globally.